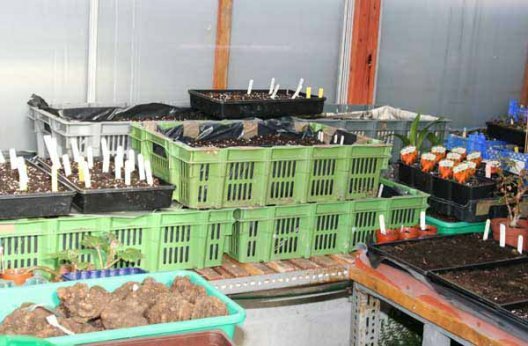 The contrast between last season and this could not be more extreme, as I was moving trays of multiflora plants from tubers started in mid March into my frame on the 17th April 2007. 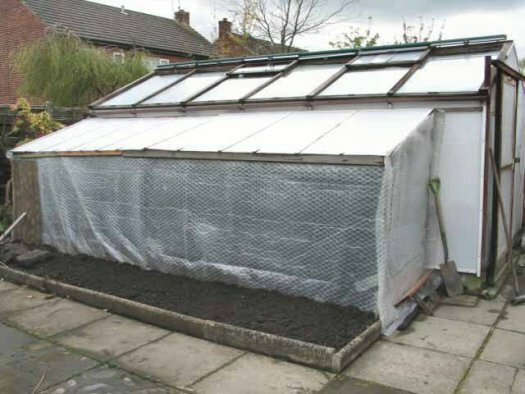 Whilst my frame has been set up, it is still covered with bubble film (image 9) and by leaving the bottom side vents open, it keeps it free of any frost. This year many of the tubers are only now starting to show shoots above the compost, due to the cold wet spring, and whilst I have moved a few trays into the frame. (Images 10) the bulk of them are still having the protection of the greenhouse. As the single tuber in image 11 shows, shoots are only just showing, the picture being taken on the 21st April. 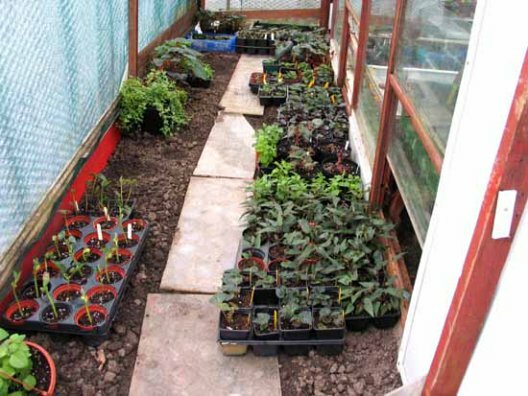 The ones with the most growth are the smaller tubers being placed on some warmth in the propagator in late February. (Image 12) The shoots will have their growing tips removed to increase the side shoots and encourage basal shoots to develop, this in turn will increase the flower volume. 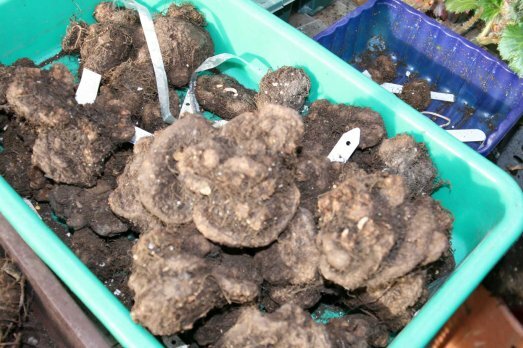 The best of the larger tubers are shown the picture being taken on the 20th April (image 13) these should be fine for planting out towards the end of May / early June. 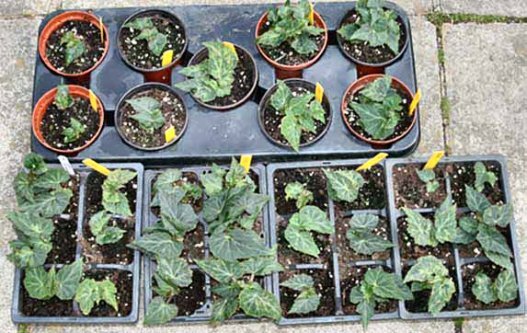 Most seasons plants catch up when the temperatures improve, and we get the long days in late May and June so they should be okay by the time planting out arrives. 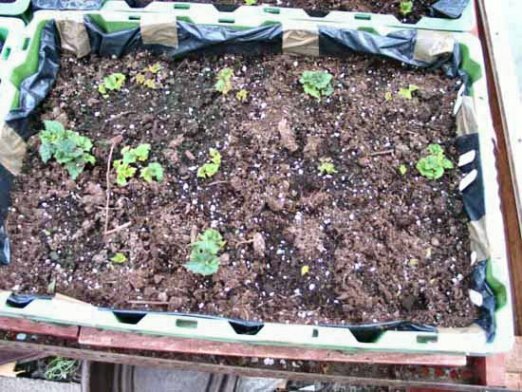 Other trays as can be seen in image 14 are not looking very encouraging, but with the longer days we now need the weather to improve with higher temperatures for growth to become more active. 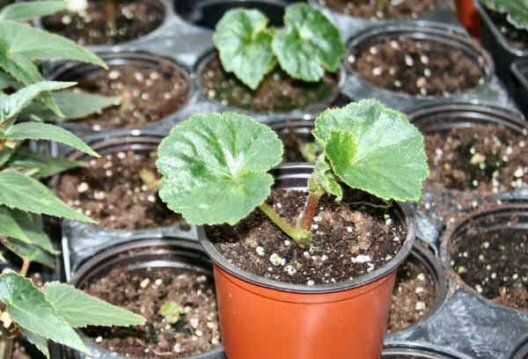 Some of the tubers of the Hollyhock begonia (Begonia gracilis martiana) are making reasonable growth as can be seen in image 15; these should be fine by planting time. 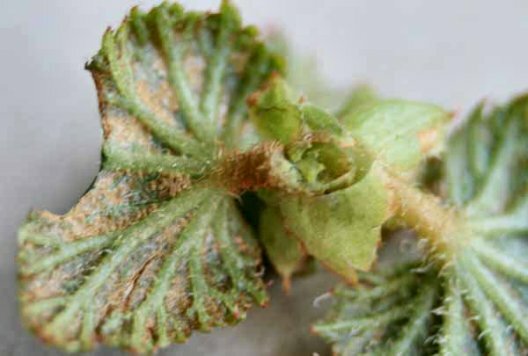 Although being susceptible to attacks of mildew, they will require a regular spraying with a fungicide. Having discovered an attack of tarsonamid mite (image 16), I have sent off for the predatory mites Amblyseius cucumeris, having used them before I expect all signs of the attack will be cleared up in about 3 weeks. It is difficult to understand why people who experience a mite attack still persist in the use of chemicals to try to clear them; nothing could be simpler than spreading the sachets of Amblyseius cucumeris amongst your growing plants. It is also a great deal safer than using these dangerous chemicals. 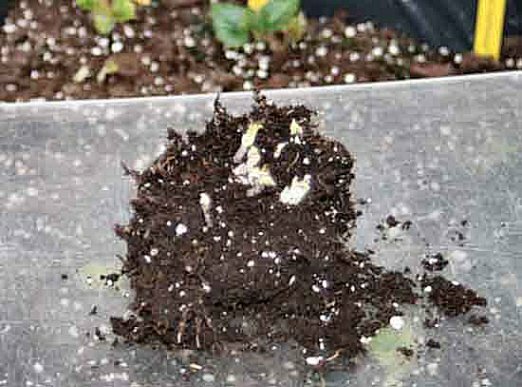 A start was made with the smaller multiflora begonia tubers a couple of weeks ago; (late February) these have been planted in trays and placed in a heated propagator, now there are signs of growth as the warmth stimulates them to wake up. 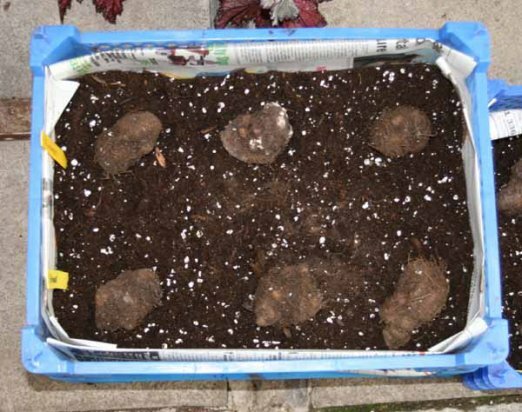 The larger tubers like image 01have only just been placed into larger trays and covered with compost these measure 40cm X 60cm; I find it is easier to grow them this way until they are ready to be planted in the garden towards the end of May / early June. Watering is easier than having to water numerous pots, and by giving them some feed in about 6 weeks time they develop into good plants. 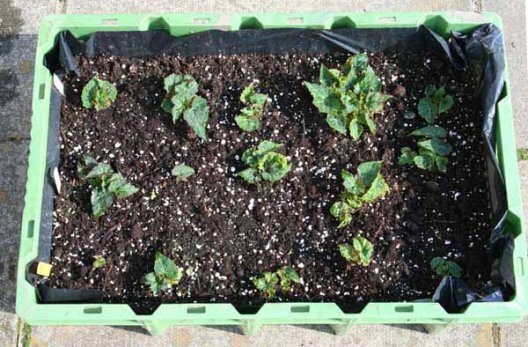 The 60cm X 40cm trays hold 15 / 16 tubers image 03, although some of the tubers are now getting too large and in some cases the trays will only accommodate 12 tubers. 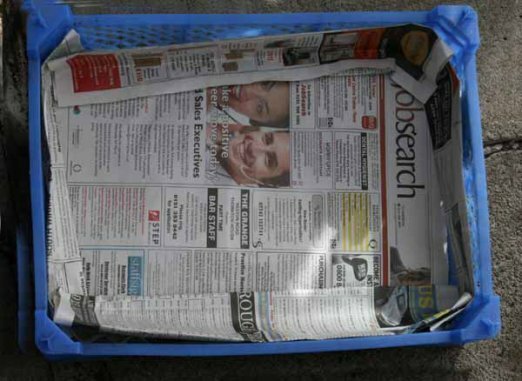 Other trays that are useful are the blue mushroom trays you can usually get from the greengrocers or supermarkets, by lining these with newspaper it helps to keep the compost in the trays. Image 04 and 5, these only hold 6 or 7 tubers, but will suffice and the paper will last until the plants are ready for planting out. 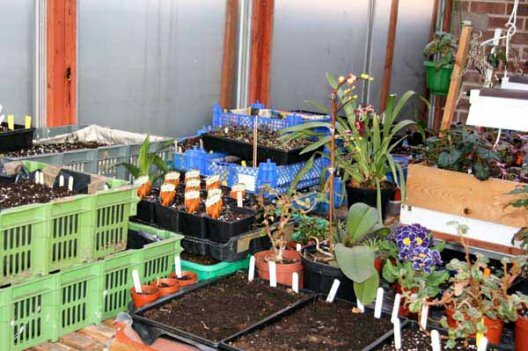 The trays used image 6 and 7, as you can see at this stage they are stacked on the bench in my main greenhouse, they will be moved in another few weeks into my other greenhouse when I have lit and set up the gas heater there. My main greenhouse is heated to a minimum of just under 10c; this seems to be high enough to stimulate the multifloras into growth. 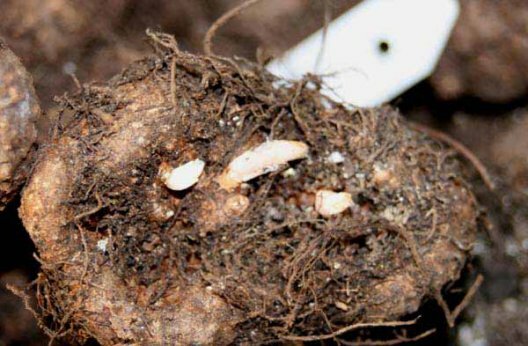 Image 8 this is a tuber of Begonia; gracilis martiana, the hollyhock begonia, these take a fair time before they show any activity. It can take a couple of months before there are any signs of growth with the initial growth usually being a couple of leaves. They then appear to rest before the shoots start to elongate to produce their flowering stems. This species seems to like being planted in an open sunny position, no doubt due to its country of origin, Mexico. You can see how it performs as a garden plant in other pictures on the web site.